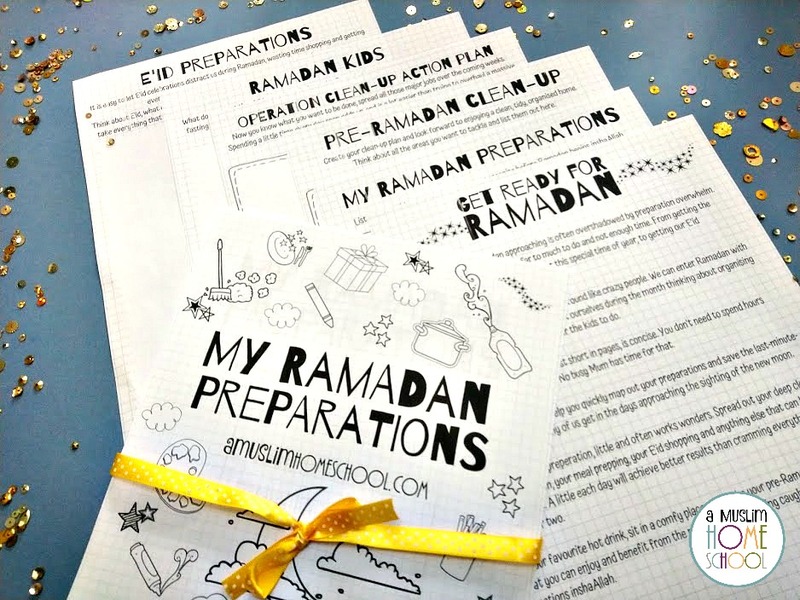 Here are 4 things you can get done in the weeks approaching the start of Ramadan inshaAllah…..and if you read all the way to the bottom I have created a gift for you to help. Looking at the whole house can feel like operation-overwhelm. When looking at it as one big job to do, it is just that….a big job. However, it doesn’t need to be. The easiest thing to do when wanting to tackle the whole house, is taking one thing at a time. Spread out your decluttering and tidying over the coming weeks instead of trying to get everything done in just one or two days. Little and often works wonders. Make a list of all the jobs you want done in every room; all the cupboards you want reorganised and cleared, all the dried up felt tip pens that need sorting, all the clothes that need packing away or donating to charity, the random drawer with things that have no apparent home…. Everything that needs doing, write it down. I’m a big believer in writing. Brain dumping all your thoughts onto paper helps free up valuable brain energy so it doesn’t need to keep juggling a million different pieces of information you don’t want to forget. Writing a list of everything you want to get done around the house, means your brain can breathe….it knows you know what needs to be done, so it can relax and let anxiety go. Once you have your list, you can see exactly how much needs attending to so that you can space all these jobs out over the coming weeks. Working through just one or jobs on your list each day, breaks up the massive task of clearing the whole house into smaller, manageable bite size pieces, and will have your cupboards gleaming and shelves organised in no time. This tip goes hand in hand with the first…but obviously you need to declutter and tidy before the deep cleaning can begin! Just as before, write a list of everything you want deep cleaned before Ramadan inshaAllah, from the skirting’s to the ceiling light shades, get it all on the paper. Then simply work through your list tackling one or two items each day. Get the kids involved and let them choose jobs they’d like to do from the list to help (I say “like” very loosely!). Whether you want to have something to distract fasting children from their hunger or keep little ones busy to make your day easier, plan some activities, games and lessons to take you through Ramadan inshaAllah. Make a list of all possible suggestions, firstly so that you have ideas to run with, and secondly so you can see if there is anything you need to go out and buy or prepare ready. I think it’s so easy to waste time letting E’id preparations distract us from more important things we could be doing during Ramadan. So here is another list to make….everything you need for your E’id celebrations; from clothes to gifts to food. Write everything down. With your list in hand, take a look and see what can be done now. Get your E’id gifts bought and wrapped. Get your clothes ready if you’re buying new. And with food; what can you make ahead of time to freeze? Something I’m going to try this year that I haven’t tried before, is freezing cake sponge to take out a day before E’id that will just need decorating quickly inshaAllah. I have frozen cake sponge once recently when I had baked too much, and it seemed fine after defrosting. So this year, I figured having cake sponge baked way ahead means time saved in the last ten days of Ramadan that can be better spend with ibaadah bi’ithnillah. I’ve put a little something together to help you get your pre-Ramadan prep done inshaAllah. Whilst this planner is short in pages, it is concise. 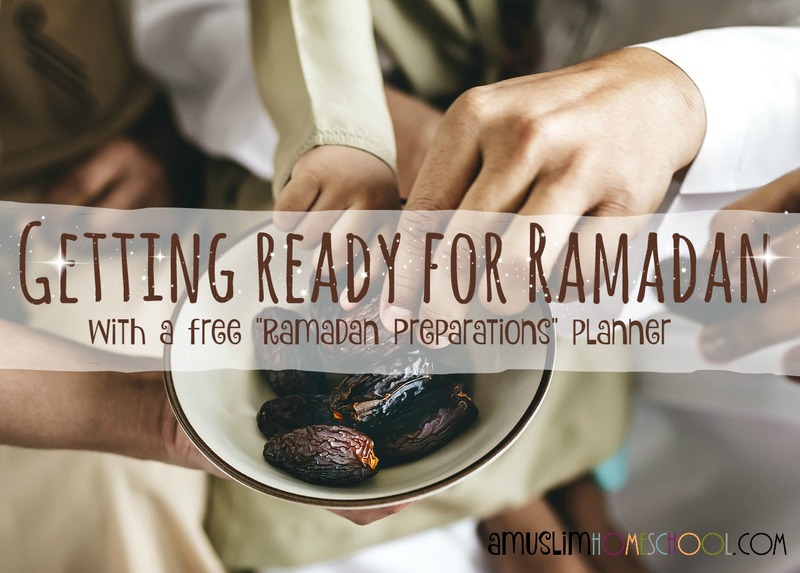 You don’t need to spend hours planning your pre-Ramadan prep. No busy mum has time for that. 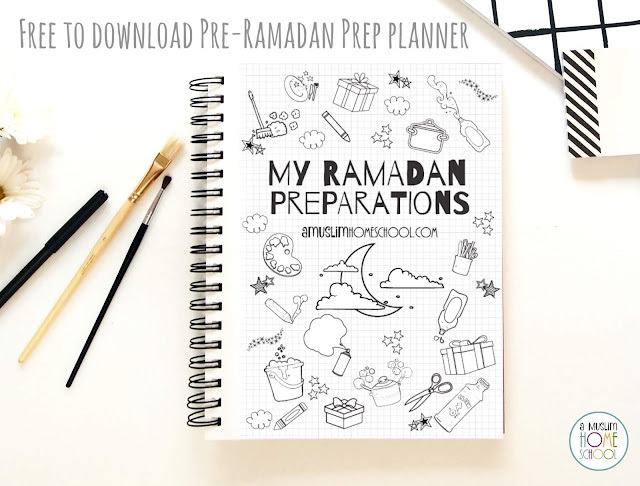 It has been designed to help you quickly map out your preparations so that you can focus on executing them and save the last-minute-dot-com feeling so many of us get in the days approaching the new moon sighting. As I said earlier, when it comes to prep little and often works. Spread out your deep cleaning, your organisation, your meal prepping, your E’id shopping and anything else that can be done ahead of time. A little each day will achieve much better results than cramming everything into a single day or two…and much better on your sanity! So grab your favourite hot drink, sit somewhere comfy and make your pre-Ramadan preparations so that you can enjoy and benefit from the coming month without getting caught up in time wasting distractions inshaAllah. It has come to my attention people are taking my work and either uploading to other websites, removing my copyright or logo / web address, editing the resources into different languages, and even adding their own copyright or logos. This is in violation of my copyrights. Please read my terms here before downloading. Downloading any material from my site assumes agreement to my terms. 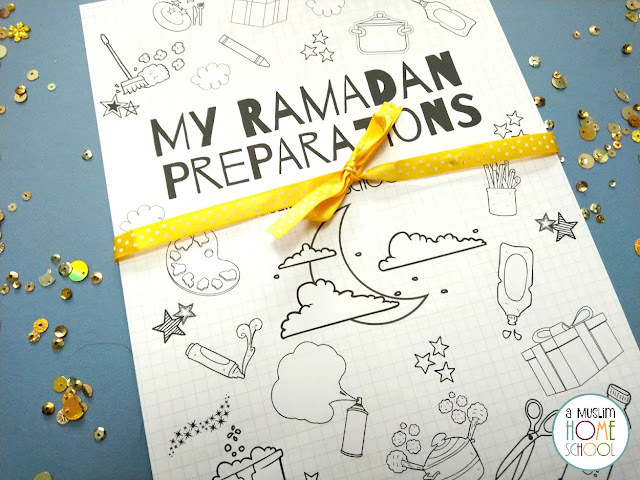 The best Ramadan Journal for Kids. 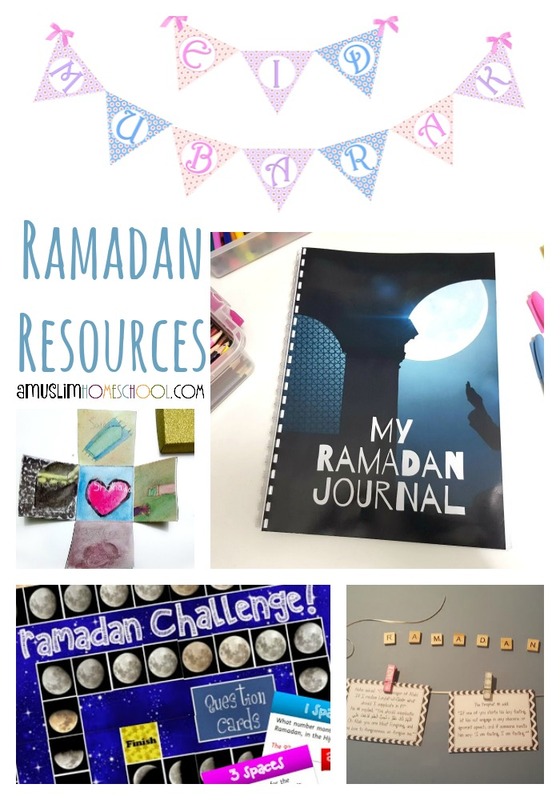 5 Pillars of Islam craft box. 30 daily Ramadan related hadith cards.